In any industry, maintaining high production standards is one of the keys for success. If your customers and clients trust what's on the shelves and how it is manufactured, there is no doubt that return business will be plentiful. Of course, an example where quality is essential is the food manufacturing industry. According to the Department of Industry, Innovation and Science, the food, beverage and tobacco manufacturing industry was worth $25.4 billion as of the 2013-14 financial year. In fact, this calculated to more than half (25.5 per cent) of the total manufacturing GDP and 1.6 per cent of Australia's total GDP worth. It is important to note that these figures mainly correlate to food products exported offshore. However, the domestic market is just as critical, and food manufacturing business leaders would be wise to keep Australians content. There are have been countless examples in the past of Australian food manufacturing businesses coming up short with local customers - potentially spooking international markets. This is the last thing that enterprises want, highlighting the need to establish strong production standards and improving process management. Authorities recalled lettuce products after reported salmonella cases. A recent example involved a recall of pre-packed lettuce products after the Victorian Department of Health and Human Services discovered salmonella contamination in late January and early February. 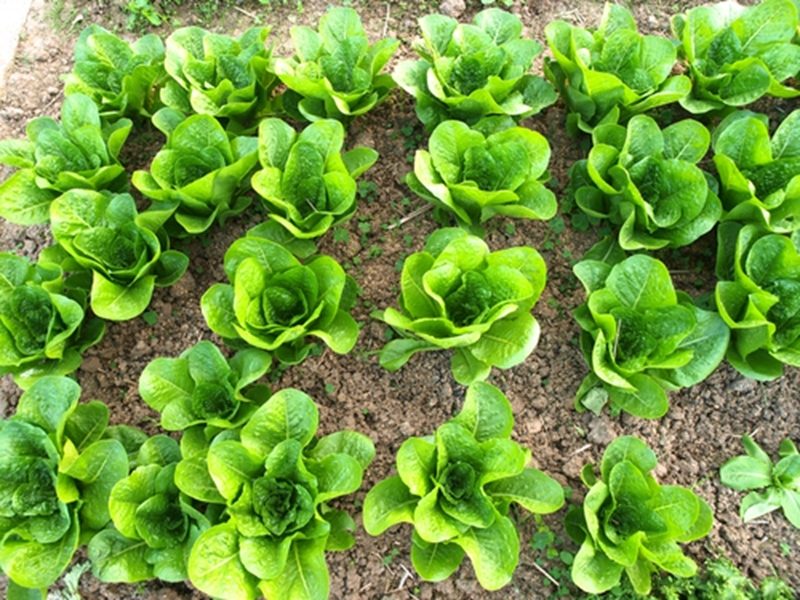 Upon investigating each case, the authorities linked the problem to lettuce from a local grower - sold in salad mixes as well as in sandwiches and supplied to community facilities. "Normally we only see a handful of cases of this strain each year, but so far this year there have been 28 adult cases of Salmonella anatum - mostly adults - notified to the Department," the department's Senior Medical Advisor Dr Finn Romanes explained. "As a result of following up the food histories of a number of people we have discovered a common source - the Tripod Farmers lettuce." Authorities ordered a national recall over the coming days before the premises was subjected to a full clean-up. Business leaders also launched their own investigations to determine where the contamination occurred and if there were processes which could have prevented the outbreak. On February 8, The New Daily reported that lettuce products available in store had the backing of management. Further test results released in the coming weeks should also offer a more definite conclusion to this case. While it is unclear as to what reputation damage has been caused by this incident, following and respecting Australia's local food standard laws should be a priority for manufacturers. To improve the quality of food destined for both local and international consumers, Australia has tightened standards in recent years. While this goes some way to explaining Australia's growing recall statistics, it illustrates that there is plenty of work still to do. According to Food Standards Australia and New Zealand, there were 76 recalls in 2014 - up from 42 in 2013 and 60 in 2012. The majority of the 2014 cases were related to undeclared allergen (27) microbial contamination (26) and foreign matter (14). In response to the latest lettuce recall, AUSVEG National Manager of Scientific Affairs Dr Jessica Lye said that Australian growers and manufacturers face the "most stringent food health and safety practices in the world". "Australian [quality assurance] standards are recognised throughout the world as being of the highest quality, and Australian produce is renowned internationally for this reason," she said. With the world's population over the 7 billion mark, challenges are beginning to emerge around feeding the middle class. Many Asian countries are feeling the pinch and reaching out to major trading partners such as Australia for assistance. Our reputation for premium and safe food products is known around the world, and this has the potential to support Australia's future economic growth, as cited by the Business Council of Australia's (BCA) report on the Agrifood Sector. "The food boom is not just another commodity boom because food is a value added product." Australian Food and Grocery Council (AFGC) CEO Gary Dawson said the report stated food manufacturers must be smarter in their approach, prioritising quality over quantity. "The food boom is not just another commodity boom because food is a value added product," he summarised. "By focusing on the value add in food production we capture more of the economic benefits, and that means jobs and growth in Australia, with much of the benefit flowing to regional Australia." If food manufacturing leaders are serious about improving their production standards and overall efficiency, there is no looking past business management software from Advanced Business Manager. Our manufacturing module can support flexible production runs, improved inventory management and comprehensive reporting. Understanding your business functions is a key part of outputting high quality and safe products for both the Australian market and wider overseas demand. For more information about our latest technology services, contact our team today.